After years of planning, a Kansas City man finally built a golf course in his neighborhood. KANSAS CITY, Mo. — After years of planning, a Kansas City man finally built a golf course in his neighborhood. The pitch-and-putt course is hidden in Kansas City's Ivanhoe neighborhood, near 40th Street and Wayne Avenue. 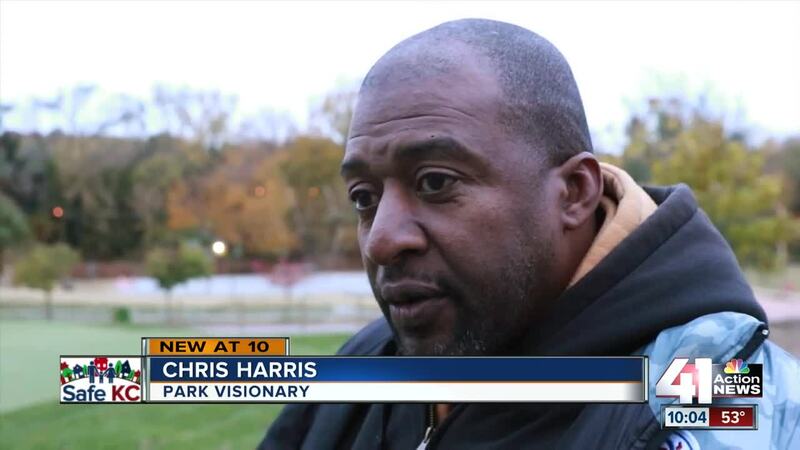 It's apart of Harris Park, a sports oasis envisioned and created by one man—Chris Harris. "I'm trying to change the mindset of the people in the neighborhood that we can definitely have nice things and we can make it happen," he said. Harris has lived on Wayne Avenue his entire life. He has made it his mission to clean up and improve his neighborhood by turning blighted homes and vacant lots into a small sports oasis. First, he started with basketball courts. Next, he built a playground and putting greens. Now that the pitch-and-putt golf course is complete, he's already looking ahead to expanding it to 18 holes. "It's been 24 years. It's been 24 years of me trying to clean this neighborhood up," he said. Free golf lessons will be provided to kids seven to 17-years-old on Nov. 6, Nov. 13 and Nov. 20th from 5 to 6:15 p.m. Afterwards, times will be arranged when different age groups can use the greens.